Hyundai 20 years celebrations. Buy Hyundai cars and 20 lucky customers to win 20% cash back on ex-show room price. 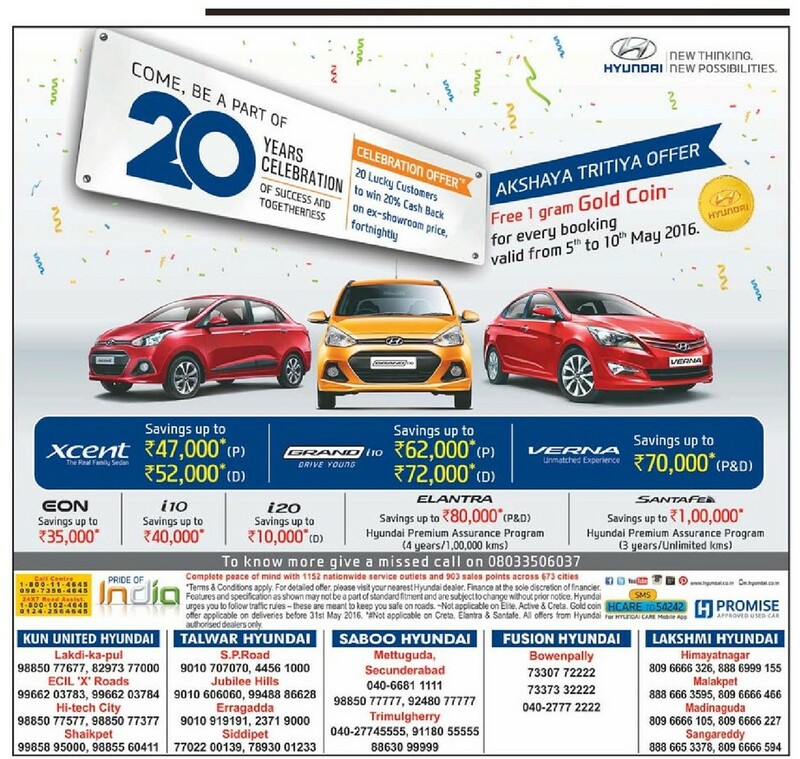 Offer valid on cars: Xcent, i10, i20, Grand i10, Verna, Elantra, Verna, Santa fe. To know more give a missed call on 08033506037.